Today is the last day of No Spend Month October and I am happy to be able to open up the wallet a little more tomorrow. My son needs bigger pajamas, both cars need gas and I would really like to start implementing our plan to phase our light bulbs to LEDs. In a more straight-forward, I-just-want-to-indulge way, I’m really looking forward to going out for Vietnamese food next month. Before we all start binge-spending on plastic Chinese imports at Target (hah! as if! ), there’s one final challenge. This last one is simple: just make a goal. Make a long-term, big-picture financial goal that honors your own core values. This goal can be anything financially related: pay off credit card debt, build up a savings fund of X-thousand dollars, save up for a big-ticket item or experience, start a business, retire early, travel to a special place or country, establish a college fund for your kids, pay off your car, pay off your house, save X-dollars for a down-payment, spend no more than X-dollars per month on restaurant food or entertainment, etc. Your goal must support your Values so you don’t waste your time and effort working for stuff that isn’t actually that important to you. You must write your Goal down. Like every other binding contract you commit to, this needs to be clearly written out. Do not use words like, “try, maybe, hope to” or other wishy-washy phrases. The bank doesn’t ask you to “try to please pay your mortgage if you can by the 15th of every month if you remember and if nothing else comes up.” Your written goals based on your values deserve no less respect than your mortgage contract. Arguably, they deserve more. You must write down your Success Date, the date by which you will complete and accomplish your goal. You must write down between three to five Benchmarks which describe what you will accomplish between today and your success date as you progress towards your goal. 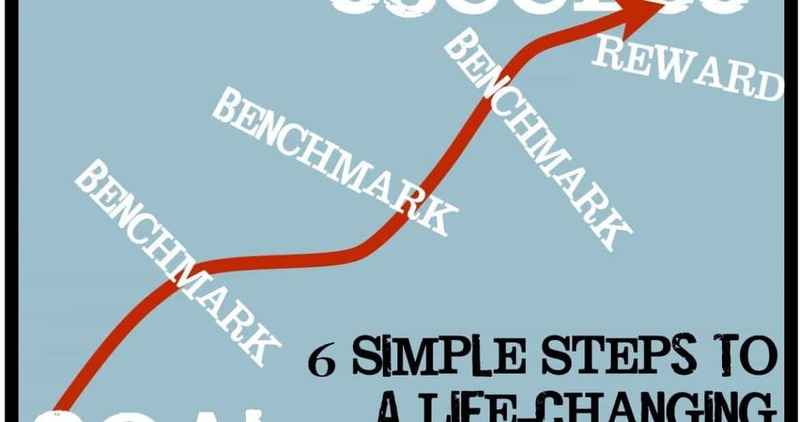 Longer-term goals generally take more benchmarks than shorter-term goals. Write down a Reward you will receive for completing this goal. For many goals (i.e., backback in Thailand, enjoy early retirement, etc.) achieving the goal is the reward. But for some goals that require upfront financial sacrifice, like paying down debt, it can be helpful to have an idea of how your life will change once you no longer have to throw so many of your resources towards completing your goal. Once you commit to your goal, you must Commit To Your Goal. That means backing up your words with action. 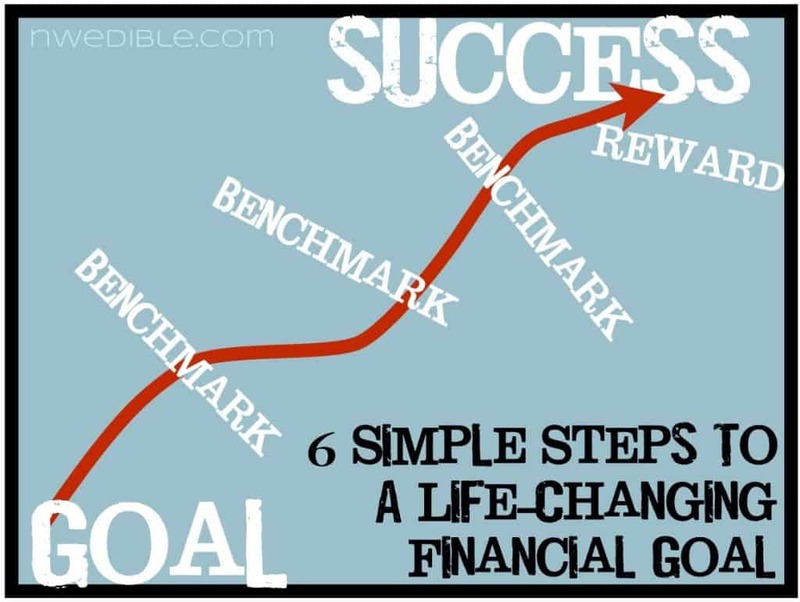 This is actually very simple, if you build your goal according to the previous five steps. You will have an easy-to-follow roadmap to success that is totally customized to you and a built-in reward waiting at the end of the journey. Benchmark #1: November 1st, 2012 – Set up $500 per month auto-pay to loan. Offset additional expense by canceling cable, canceling gym membership, reducing annual travel and “weekend away” expenses and taking in lunch to work four times per week minimum. Benchmark #2: December 22nd 2013 – January 5th 2014 (Winter Holiday) – Make business plan for part-time, mobile dog training business in order to increase income by $240 a week. Structure 6-8 hours @ $30-$40 per hour depending on competition. Figure out any licensing issues. 50% of any additional income from new business earmarked for student debt repayment, remainder after taxes and expenses earmarked for travel savings fund. Target Feb 2014 business launch date. Benchmark #3: October 1st, 2014 – Minimum 50% of student loan debt paid off! $11,500 to go. Possibly $960 additional paid down due to Dog Training business? Benchmark #4: September 15, 2015 – Minimum 75% of student loan debt paid off! $5750 to go. Possibly $2160 additional paid down from Dog Training? Reward: Once Student Loan is repaid, $500 per month will be directed to Travel Savings Account, allowing multiple small trips per year and major international travel at least biennially. I recommend having all your deep-thought style Mini-Money Challenges on hand while you set your goal. These can help remind you of other conclusions you’ve come to this month as you’ve assessed your relationship to money. You’ll want to know your core values of course. Get your own your number info in front of you so you know what, if any, debt you are dealing with. Brush up on why you really want things to help you to Occupy Your Brain against purchases (and goals!) you don’t actually want. Once you write down your goal, all you have to do is follow through and you will achieve it. You are a badass hero pirate of incredible destiny. Obviously once you commit to do this, you will make it happen. Our financial goal is to build our income-quilt to allow for semi-early-retirement, with both Homebrew Husband and me each working for pay about 20 hours a week in fields we are passionate about and spending more time with the kids, the garden and each other. It might take a few years, but we’re going to do it. This post is entered in the Frugal Days, Sustainable Ways blog hop, where lots of good content always comes together under one roof. Previous Post: « The Zombies Are Here. Are You Ready? I love this post. However, what happened to your cute paragraph about high-fives and punches to encourage comments? It seems to be missing. Is that just me? They must have updated it under me or something! I didn’t notice, and it wouldn’t let me confirm that I wanted to follow the conversation via email. I had to manually come back and see if there were responses. That was just for this post – the turkey post from today let me subscribe. Anyway, I’m very glad to see your customization back. It always makes me smile. Thanks for a great blog. This is a great post, as usual, but I’m most interested in a tangential comment you made near the beginning. You say you’re hoping to phase your light bulbs to LEDs. So am I. Have you found a source that you like for LED bulbs? I’ve found a number of online sites selling them, but I haven’t spent much time yet looking for ratings of the highest-quality/lowest-energy/most-reliable/lowest-priced/most-socially-responsible-brand combination. Any advice you have would be welcome. Thanks. Honestly, my husband is a lighting nerd, so I’ll see if I can get him to weigh in tonight on the technical side. What we’ve found on the price issue is that the best prices are at our local Costco, which currently has a rebate offer on LEDs that runs into early November. These prices beat Amazon. So we plan on picking up a few different “zones” worth of different LEDs and exploring how the various brands works in our house. Erica puts it pretty well – we are slowly working through trying to test and understand what is available out there. I’m going to run out to Costco as soon as No-Spend-Month is over and try what their offerings are. But honestly, the whole equation of social responsibility, light quality, energy efficiency, trade balance, etc. is enough to cause my head to explode! I’ve been tracking the prices of LEDs downards and when I was at Costco a couple of weeks ago that was the first time I’d seen them there. We held off on buying them out of respect for No Spend October but probably tomorrow I’ll get a few, together with a sampling of other suppliers from Amazon, and test out what the light quality is like. I expect it’ll be fine but want to review that before taking the plunge and replaceing a few dozen incandescents. We’ve got a lot of lights on dimmers which constrains our choices in the LED domain too, and PAR type dimmable LEDs are pricy, so I want to get our choice right! This is a VERY REFRESHING and detailed post! I think every person should sit down and do this. I will piggy back off of this for a couple of our goals (even though they are not financial). I really like the idea of not spending a dime the entire month (outside of our utilities and rent of course). My wife and I might try this twice a year. Kind of like a fasting financial diet. Great site, keep up the good work!. Great post – I think goal setting can be a really useful thing, especially from a financial perspective. Really, I should be doing more of it. I’ve actually spent the last week making a plan that’s similar to the one here in order to buy myself a pressure canner. I’ve been talking about it forever and have yet to do it, largely because I really, really hate making expensive purchases (even though lots of small ones seems all too easy, ahem – thrift store – ahem). I may well be overthinking this a bit, but I’d really like to use this as a way to get a bit more comfortable with larger purchases. The short version is that I’m planning to buy a pressure canner by the end of April 2013. I’ve set up a separate savings account and will put money saved by not making smaller purchases in there. I’m hoping seeing my savings grow will motivate me to make fewer small purchases in favour of the big one. I’m also planning to put in some money every time I use my existing water bath canner which should get me back into canning again and remind me that this is a good purchase in spite of the cost.